I’ll be honest. It’s quite hard to make a review of this book without giving out spoilers because of the exciting plot and twists so i’ll make it short and simple. Amy Elliot and Nick Dunne fall in love with each other and eventually, they get married. After losing their job in New York because of recession, they transfer to Nick’s hometown in Missourri. To support them, Nick borrowed Amy’s money to buy a bar that he’s managing together with his twin sister, Go. On their 5th anniversary, Amy goes missing leaving Nick as the primary suspect of her disappearance. He claims he is innocent but all the evidences are clearly pointing at him. The book is told from Amy’s diary and Nick’s narration after the disappearance. 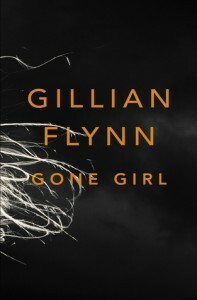 Though a bit slow at the beginning, Gone Girl is incredibly well-writen and the characters voices are convincing. I feel like watching the movie, seeing and hearing Ben Affleck and Rosamund Pike saying the words while I’m reading. Though I think Neil Patrick Harris (Dessi Collings) fits the role of Tanner Bolt. I’m saying this because of Bolt’s character and attire (especially the tie). This book made me feel like hugging/punching the characters (Nick and Amy to be exact) at the same time. It’s confusing (in a good way) and I didn’t know what to believe anymore. While I’m still under the state of confusion, another revelations appeared which made me more curious and excited. I honestly don’t know what to feel about the ending. Somehow I’m disappointed because that’s not how I want it to end and at the same time, I’m also thinking that it’s the perfect ending for them. "Because every morning you have to wake up and be you." This is my first time to read Ms. Flynn’s book and I’ve heard that her other works are also amazing so I think I’ll enjoy reading them. 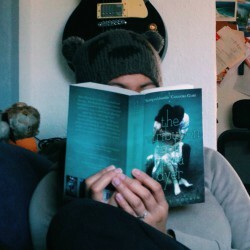 She’s a very talented writer and I like how she played my emotions. I recommend this book to anyone who loves a superb mystery/suspense novel.